Rohini Sardana, SIS Head of Product Propositions, highlights the key changes that are required to optimise the emerging sports vertical, to maximise betting opportunities. With the global eSports gambling sector projected to be worth around $13 billion by 2020 (according to research by Eilers & Krejcik Gaming), it’s a market that simply cannot be ignored. The concept of placing a bet on two people battling against each other on a computer game may be lost on some who don’t understand it, but given the sheer size and potential of the eSports landscape, it’s an area of betting which shouldn’t be overlooked. Many operators have already introduced eSports markets on organised esports tournaments that are put on in various international gaming markets. It’s a growing market for sure, but there have been questions raised as to whether the betting vertical has reached the potential it should have achieved, given the popularity of the gaming product. The betting and gaming industry currently faces challenges in relation to its appeal to a broader range of bettors across the globe. There’s no reason why eSports cannot become a significant and profitable product for operators. One of the main challenges with current esports betting offers is that existing tournaments are created for the benefit of game publishers and for the wider esports community, so many of the game formats aren’t optimised for betting and many of the markets are unfamiliar to current sports bettors. First-person-shooter (FPS) and multiplayer online battle arena (MOBA) games are hugely popular with video gamers, but from a betting perspective, they can be relatively complex and difficult to understand for traditional bettors. When you consider those bettors accessing the eSports tab on a sportsbook operator’s website, it’s easy to see why some would struggle to acknowledge the types of bet on offer. Instead of focusing primarily on FPS and MOBA style games, an alternative approach would be to offer markets on sports-themed games, given the customer base of most operators. Prices on events such as the next team to score, total goals and match outcomes will bear a resemblance to those offered on a weekend Premier League match, which should match their betting style and drive engagement. In addition, this type of offering is sure to appeal to a broader segment, creating new betting opportunities for many with an exciting and easily accessible product. As part of our consumer and customer research, this lack of familiarity is an issue raised by most, which has led to us developing a fit for purpose Competitive Gaming betting product that is set to help unlock the potential of this fast-growing vertical. Our head-to head tournaments are created for betting with short-form event formats, to provide sportsbooks and bettors with a high volume of betting opportunities and event schedules optimised for betting operators, to provide new betting events at quieter times. The head-to-head matches between the skilled gamers are on popular sports titles and offer markets that bettors are familiar with. Sports betting is popular with bettors all around the world as they can view the action right in front of their eyes. The ‘Watch and Bet’ model has helped to keep bettors engaged for longer, and when complemented with calls to action displayed on-screen, in our experience, it will more likely lead to them placing a bet. One of the issues with betting on esports currently, is that many operators don’t have the live streams of matches on their sites, which means the customer experience isn’t optimised, as bettors need to have multiple tabs open and move between the stream and their betting account. This was at the forefront of our thinking in the creation of our new Competitive Gaming product. It is the world’s first and only multi-genre betting product, featuring live pictures of video gaming competitions between qualified players on a range of sports-themed titles. There’s a betting event every five minutes, offering bettors frequent short-form betting opportunities, throughout the day. The 15,000 annual events will be broadcasted live from Las Vegas and scheduled to fill the quieter times of the day for sportsbooks to maximise betting revenues for operators globally. It’s an innovative approach and something that hasn’t been seen before within the eSports betting sector. When developing our new Competitive Gaming offering, integrity was a big focus for us across the live events and betting feeds. From an operator perspective, the common issue that arises when offering markets on eSports events is the reliability of the prices available. For operators, finding traders with an in-depth knowledge of the vertical is challenging, meaning that it’s difficult to produce prices in-house. 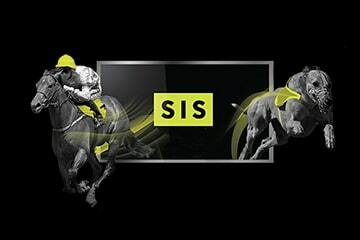 Our team of specialist traders are experienced in this area, and are supported by a proprietary trading application and industry leading models and algorithms to deliver prices to maximise bookmaker margins. In addition, It’s imperative that bettors feel comfortable placing bets on such events if the market is to grow further. With SIS Competitive Gaming, we have a dedicated integrity referee trained by ESIC, who will monitor each game, and there are robust real-time processes in place to ensure all events and gamers follow the strict participation requirements set out by our tournament host and ESIC. The potential of the eSports betting landscape is huge. The key to maximising its reach is to deliver it in a way which not only appeals to a broad profile of bettors, but also solves the challenges it currently faces.